Key Difference: HD generally refers to images with 720 horizontal lines or more. The 720p resolution is commercially known as HD Ready. 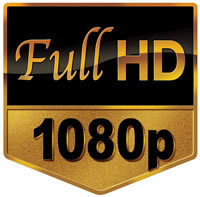 Whereas, products that are capable of displaying 1080p videos are labeled as Full HD. HD or High-definition is all the rage right now. It seems everyone wants an HD Television or wants to watch HD videos. However, many people do not realize what HD actually entails. HD basically entails a resolution that is higher than the standard. 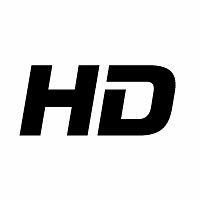 Originally, HD referred to videos that had more than 480 horizontal lines or 570 lines; 480 horizontal lines in North America and 570 lines in Europe. The numbers correspond to the lines of pixels that are displayed horizontally. While the video images of more than 480 horizontal lines or 570 lines are still technically considered as high-definition, in today’s world HD generally refers to images with 720 horizontal lines or more. In addition to the three HD categories mentioned above, there are also the ultra high-definition video modes, which include 2000p, 2160p, 2540p, 4000p and 4320p. However, these video modes or the technology supporting these video modes are currently not available to the public and hence, the video modes are not even mentioned. The ‘p’ or ‘i’ in the categories refers to ‘progressive scanned’ and ‘interlaced scanned’, respectively. In the "Progressive-scan" format, the lines of pixels are displayed sequentially, which means the one sequence of the pixels are loaded, then the other, then the other, etc. Comparatively, in the “interlaced scan” format, the odd lines are display first, then the even lines. The interlaced scan format is the older used format, and is traditionally used in analog television systems. The progressive-scan format usually results in a smoother and cleaner image than the interlaced version. The 720p resolution is commercially known as HD Ready. Many manufactures label their products that display at least 720p video images as HD Ready. Some may even have the ability to show 1080i or even 1080p. Whereas, products that are capable of displaying 1080p videos are labeled as Full HD. HD Ready and Full HD are generally just marketing terms, used to lure customers.